Battlefield 1 Update 1.11 for PS4, Xbox One and PCs is now available for download. The update size is around 4.8GB on PlayStation 4, 5GB on Xbox One, and 4GB on PC. The new update comes with Prise de Tahure map. This is the second night map and the final map for the They Shall Not Pass expansion. You’ll need to own the Premium Pass or They Shall Not Pass to play on it. You can also access the map contents via Premium Friends or Premium Trials. Check out more details below. Battlefield 1 Update 1.11 brings Prise de Tahure which is second night map and the final map for Battlefield 1 They Shall Not Pass. French raiders and German stormtroopers clash in an urban trench setting as the nights grow colder in the Champagne-Ardennes region. The frontline trench networks cut right through several villages facing obliteration from the constant skirmishing between German and French troops. This content will be available for Battlefield 1 Premium Pass owners and owners of the They Shall Not Pass expansion pack. Non-Battlefield 1 Premium Pass owners will be able to access the content via Premium Friends or Premium Trials. Battlefield 1 Update 1.11 introduces Premium Trials. Premium Trials are timed events that allow non-Battlefield 1 Premium Pass owners to experience the maps of our fully released expansion packs before they buy. Sounds similar to Premium Friends, right? It’s the same feature, but without the need to party up with a Premium Pass owner. Earning XP, spawning in vehicles released in the expansion, and progression/unlocks will be restricted to Premium Pass owners. Soissons: Adjusted Flag D capture area in Frontlines to improve map balance. Nivelle Nights: Fixed a bug where the Out of Bounds grayscale screen-effect would sometimes fail to enable. Nivelle Nights: Fixed an issue where field kits in sector five in a Rush game could be used before the sector was active. Fort de Vaux: Players should no longer be able to get on top of the fort around the courtyard area with Battlefield 1 Update 1.11. Updated the Map Voting system to exclude the previous map (as well as the current map) from the random selection pool to prevent the possible A-B-A-B map play pattern. Game will now cancel matchmaking whenever backing out of the Operations globe screen. This to prevent a lingering blur state of the globe. Synchronized damage taken effect to the actual shooter networked state. Previously it lead to out of sync effects where the shooter was not yet visible. Battlefield 1 Update 1.11 fixed a rare client crash that could occur when a player joined late and a player just dropped/picked up a weapon. Fixed a disconnect issue that could occur when loading a map. Premium Friends – Non-Premium players’ score will now show 0 throughout the match on all Scoreboards and End-of-Round screens. 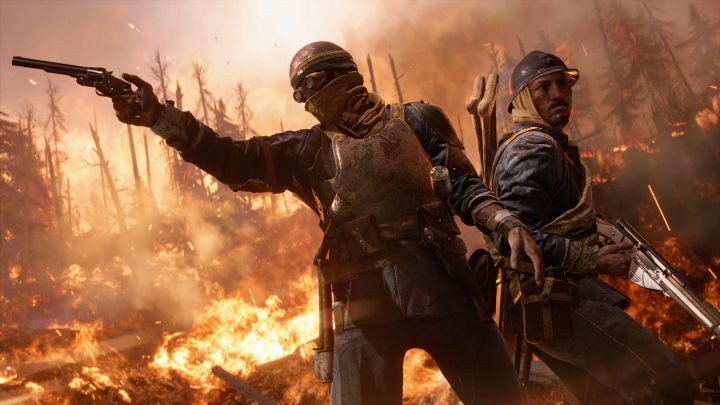 Battlefield 1 Update 1.11 added new setting to allow for limited number of specific kits. Added setting for round time limit multiplier. Added setting for Unlimited Magazines. Countdown stops if players drop: Lowered the required player count for countdown to start game round to the minimum number of players required to finish a game if preround is enabled. The player count is unchanged if preround is disabled. Battlefield 1 Update 1.11 implemented a latency soft lock option where players with a ping higher than 100ms higher get kicked automatically. Fixed issue where the “Player-Created Content” option was grayed-out, unusable, and set to “Hide” after booting the title without a network connection. Fixed the wrong transport driver chase camera caption in the controls UI. The networking issues icons will not show up in Spectator Mode anymore.